Find an installer local to you to arrange your survey, supply and installation. Get an instant online price today! Cut out the middle man to save time, money and hassle. View our installation guides to see how easy it is to install our products! With over 40 years of experience in the industry, we offer a service that is built upon professionalism, reliability and efficiency. We utilise our expertise, alongside our approved installer network to ensure all of our products are supplied and installed to the highest standards. Improving your home has never been easier. Our team of Approved Installers have been tested and tried to ensure they uphold exceptional standards across the board. We operate across the nation, allowing you to find a reputable and accredited double glazing installer in your area. All members of our Network have been tested and tried to ensure standards are upheld. 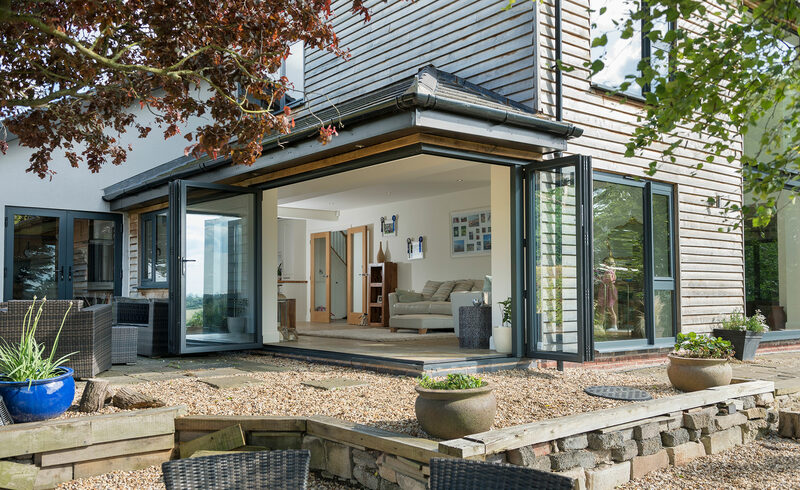 We offer a selection of high quality aluminium patio doors and bi-fold doors, giving you a standard of design that is unmatched in the current market. This allows you to enjoy doors that offer outstanding levels of thermal efficiency, security, durability and performance, ensuring your home remains warmer and safer throughout the year. Beautiful and authentic uPVC flush sash windows from Deceuninck. A contemporary take on on a classic style, with the benefits of uPVC technology. The next generation New Wave uPVC multi-pane Patio Door from Deceuninck. We were very impressed, the service we received throughout was excellent, from Wayne in the office who initially took our call through to the surveyor and the installers. The finished product was exactly what we envisaged and of the highest quality. I would happily recommend your company. With many, many thanks to everyone for such an excellent job, we are thrilled with the new bi-fold doors. Considering that all our dealings have been via the internet we are both delighted with the end result, the doors you delivered were exactly as our architect specified and we couldn’t be happier with the finished project which has made such a difference to our home. We would like to pass on special thanks to Charlie your transport Manager who we found to be very helpful. Our Approved Installer Network has been established to offer homeowners peace of mind when opting for new home improvements. Operating across the UK, the Installer Network features a selection of professional installers that are well versed in fitting our exceptional products to the highest standards, every time. We understand that the difference between a house and a home is a personal touch, which is why we offer a professional, in-house and bespoke powder coating service across all of our products. Not only does this mean you’ll be able to find the perfect colour from our comprehensive range, you’ll be able to enjoy a degree of decoration that is set to last. Our high performance, 35,000 sq. ft . aluminium factory allows us to offer market-leading products in a quick and simple manner. You’ll be able to enjoy the very best in home improvement solutions sooner and to a higher standard, reducing stress and disruption to your daily life throughout. Enter your postcode to find your nearest installer.